Choosing Denmark for studying abroad is a brilliant idea that brings in many tangible benefits that you might probably not avail in any other destination. Studying in Denmark implies paving path for a bright career. Denmark offers enormous opportunities for international students. Anyone who wishes to study in Denmark can take advantage of its wide range of study and course options, advanced educational system, and affordable tuition fees. Education in Denmark will be at par with international curriculum, and students can get an opportunity to learn things by working on it practically. Home to renowned educational institutions, Denmark rolled out as the perfect destination for international students, especially Indians who desire to study abroad. The Danish educational institutions have a global recognition and it’s listed among the top educational institutions in the world. By choosing to study in Denmark, one can develop their analytical and thinking capabilities that will help them to face the real-world with poise. Students will get an opportunity to learn from industry experts and can get hands-on work experience. If you have made your mind to study in Denmark, then you need to apply for Denmark Student Visa, which is an authorized document that allows you to undertake studies in Denmark. Citizens outside the Nordic countries or the EU/EEA must obtain a residence permit to study and reside in Denmark. 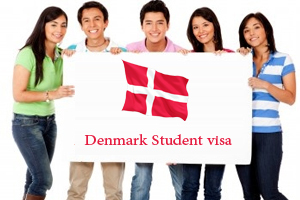 In order to apply for Denmark student visa, students must be offered a place in Danish institution. However, you need to satisfy other Danish/Denmark student visa requirements to enter the country. The duration of Denmark student visa depends on the length of the course and type of the program. Therefore, prospective candidates can study in Denmark by applying for Denmark student visa. Denmark Student Visa, Study in Denmark, study in Denmark for Indian Denmark Education, Denmark Student Visa, Denmark Student Visa for Indians, Study in Denmark, Study in Denmark for Indians. permalink. It was a fruitful experience I had with team of Opulentus in my Denmark visa .Thank you for your valuable support and guidance. I am happy and satisfied with my student visa to Denmark, this has only happened because of Opulentus services.